This new outdoor living space required the renovation of the client’s backyard. 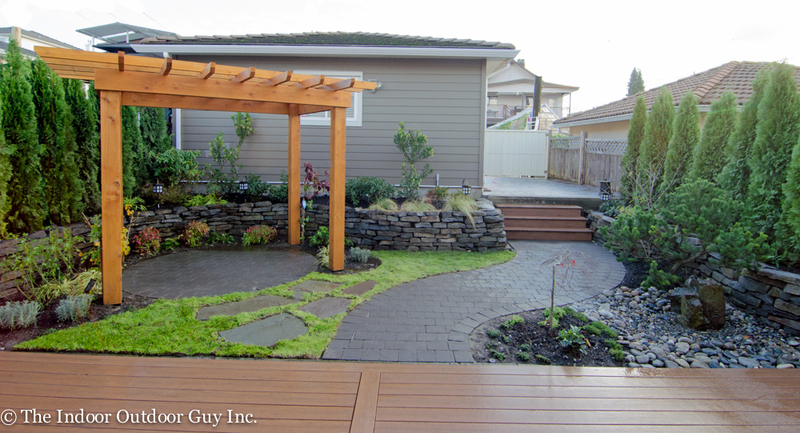 This project included a new 400sq ft plastic composite timbertech deck, a timberframe pergola, with circular paver patio, a new walkway and stairs to the rear driveway, a basalt pillar water feature and natural raised stack stone retaining walls. Our design build team specifically designed two living spaces. One for entertaining on the deck, and the second for quiet relaxation under the shaded pergola. 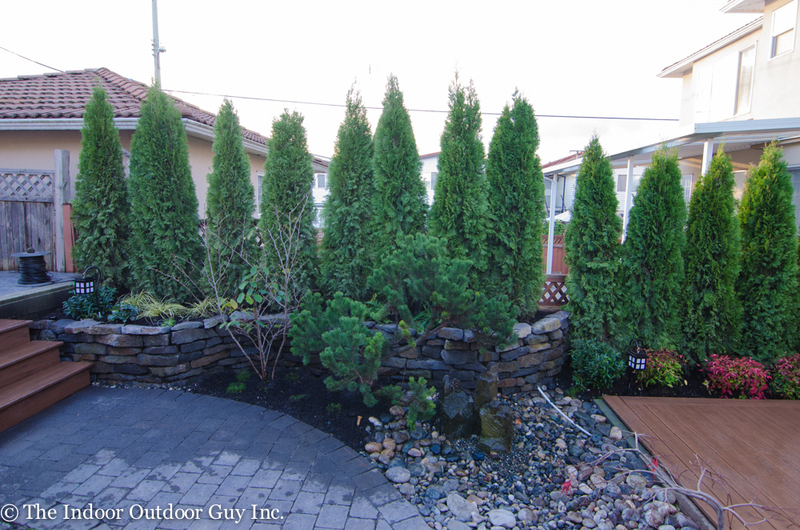 The design team also included hedging and stack stone retaining walls for privacy, to hide fencing and to give the backyard a more natural feel. They included a water feature to provide a relaxing sound and to drown out neighborhood noise. All plants and grasses selected are low maintenance perennials. 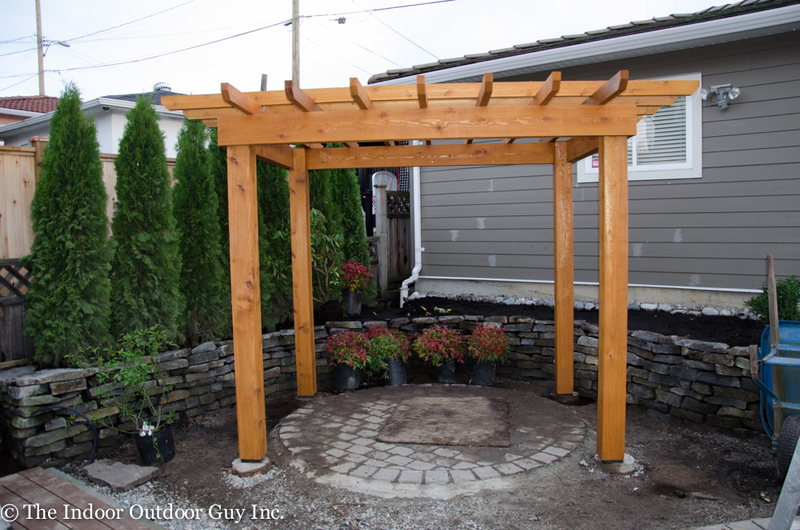 Timber frame pergola with circular paver stone patio, and raised natural stone beds. 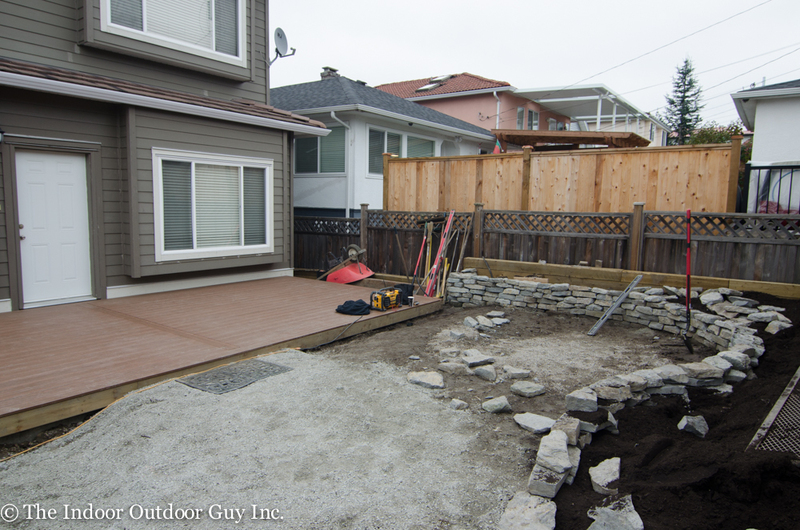 Basalt pillar water feature and natural stone retaining walls. View of entire backyard from deck. Project during construction: installation of base.